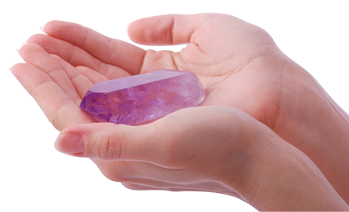 In a Vibrational Healing session, I use many different types of crystals to balance your body, this is always specific to you, and one session is never like another. At the close of the session, I review not only which stones I used and what their properties are, but “read” the layouts and how that information relates to you. This can reveal a lot of messages on your present energetic situation, and give you insight on how you can begin to heal yourself. 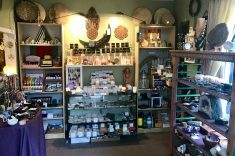 Crystals have a very high and precise rate of vibration and so they are utilized extensively in modern technology; ranging from the liquid crystal diodes in calculators and clocks to their use in the very computer you are reading this on. They also are used in credit cards, fiber-optic phone lines and laser technology. 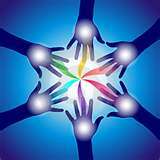 With intuition as a guiding force, a session may combine a mix of Crystal Healing, Reiki (A Universal Life Force Energy Hands on Healing method), Chakra balancing, and aromatherapy to achieve a complete balancing of the physical, mental, emotional, and spiritual being. For those who are unfamiliar with any of the above processes, the receiver lies down on my table and I may perform a mix of applying specific oils to certain spots on the body, the ancient art of Laying on Stones, and Reiki. 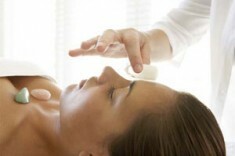 Why should I have a Crystal Healing session? When we are in alignment with our true nature, when we are living harmoniously with all of the aspects of ourselves, and when we can remove and release blockages, we can become more attuned to Spirit. By balancing the Aura, opening the Chakras, and releasing old debris that is no longer needed, we can move forward in our lives with grace and ease. We can shed unwanted behaviors, thought patterns, and emotions, and move into a personal place of Peace and Contentment. Physical diseases arise due to an imbalance of the mind, body and spirit. 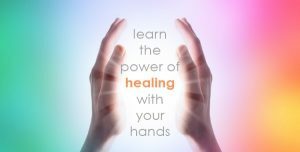 Vibrational Energy Healing Sessions can help to us to break free from that which we no longer need and help to heal, clear, and recover our physical, emotional, mental, and spiritual selves. 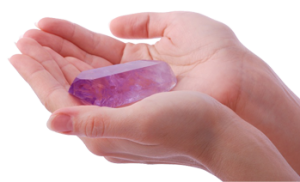 What will I experience during a Crystal Healing session? Everyone is different. Some experience blocked emotions surfacing in order for them to heal. Some experience physical healing of dis-ease. Some have a more quiet and subtle shifting of energies. 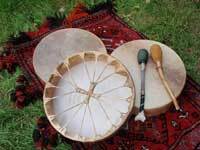 A healing session is 60 minutes, (or more depending on the recipients wishes). At the close of the session, I review not only which stones I used and what their properties are, but “read” the layouts and how that information relates to you. 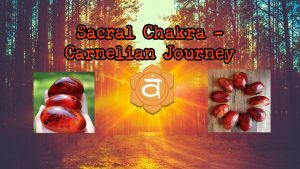 This can reveal a lot of messages on your present energetic situation, your Chakra energy centers, and give you insight on how you can begin to heal yourself. Your entire time in my office is approximately 1.5 hours. This is a very personal experience, and therefore how often you choose to have them is purely up to you. Each session needs to be digested, assimilated, and processed for it to be effective in the healing process. Each session builds on one another and I find that clients that stick with a schedule get the results that they are looking for. Do I still continue my regimen with my primary care physician? YES. 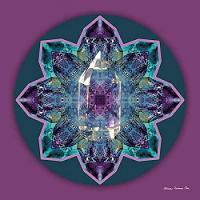 Crystal Healing Sessions are to assist and aide you in healing. They are not replacement for adequate or necessary medical attention or any kind of psychological therapy you may be doing. I am not a medical doctor of any kind. Like so many other important things in my spiritual path, my fascination with crystals can be traced back to early childhood. The beauty of each individual crystal awed me, and so I began collecting them. 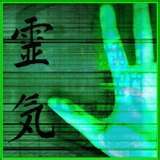 Through surrounding myself with them, I began to study and understand them – this lead me to incorporating them into my Reiki Sessions, and finding them extremely powerful in healing. As the years have passed and my experience of different kinds of healing increased, and I now see the cosmic connection in all the many different varieties of vibrational healing – whether through color, sound or any other practice that understands that in order to heal holistically we need to see the human body in its entirety – mind, body and spirit, existing in divine balance and each one dependent on the healthy functioning of the next. Harness the power of your crystal medicine. Each stone is specifically chosen for your energetic needs, charged, and then wrapped in sterling silver. The pendant includes a cloth gift bag, and a handwritten description of it’s medicine. The stone can be one that you choose, I channel by working on you in†a session, or one that is chosen based on your intentions at this time. Contact me for more information, to discuss your custom wrap, or for pictures of other wraps for sale. 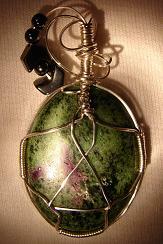 A great gift for yourself or anyone you know that needs some powerful healing energy!